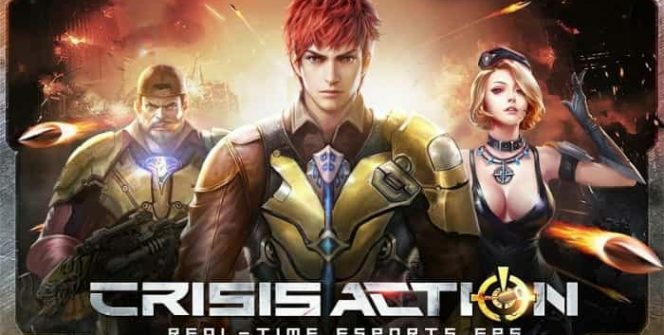 Crisis Action is an online multiplayer FPS game with over 5 million daily users. 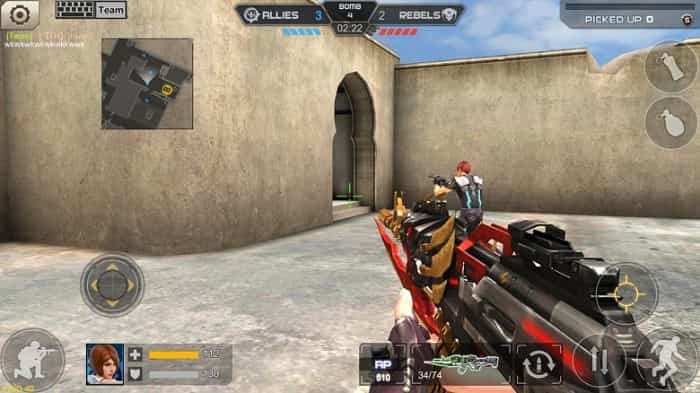 The action shooting sensation is designed for android and iOS devices, but it can be played on a PC with the help of an android emulator. The HERO Game epic adventure offers a thrilling and breathtaking gameplay and myriad of rewards to the winners. It comes with amazing features that keep players engaged throughout. 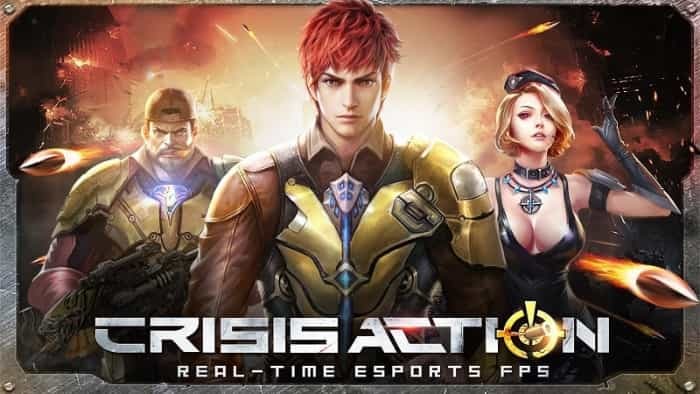 Crisis Action-eSports FPS is the first real-time eSports shooting mobile game, something which makes it quite popular. As mentioned above, over 5 million shooters sign in on the app every day, and engage in nerve-wrecking gun fights. Those who have already played the game can testify the massive multiplayer fighting that takes place in the game. This mode is highly emphasized in this shooting game, and is quite different from other games of the same category. There are many maps that allow players to challenge the limit of their shooting skills. The game offers timely customized and rapid response touch controls to help players survive in the environment. There is a single mode that offers more stages to help players improve their shooting skills. There is also a multiplayer mode that comes with more enemies, thus making it more dangerous. It is however an awesome mode because of its engaging and challenging nature. The game also offers a solo mode where you enjoy your own personal stage. If you are not interested in a solo mode, you can switch to a team mode where you join other shooters for intense fighting. Unlike other shooting games, Crisis Action has a biochemical mode where you have to fight to avoid infection. These matches can be played by up to 8 players. They include 1v1, 2v2, 3v3, 4v4 and 5v5, and involve adrenaline-fuelled combat where you face-off against other players to prove your skills. If you want to dominate the battlefield, ensure you take down your opponents. Concerning the customizable matches, you can explore annihilation, shotgun shower, bomb, hunt, bio attacks and more. There is no much pressure when playing these matches because they suit your skills and abilities. Crisis Action offers a wide range of powerful weapons to allow you explore your shooting skills and abilities. There is a Fury Dragon, AK-47, Fury Dragon-Striker and more. The weapons are complemented by a top-of-the-class gear and armor. The game offers gold and xp, equipment upgrades, new maps and other rewards and bonuses. Some gaming enthusiasts have created tournaments that offer real money, diamonds, improved weapons and new maps. As mentioned in the first paragraph, you can play Crisis Action on your laptop or desktop with the help of an android emulator. Emulators are downloaded for free, and can be used to run other android apps. The best thing about playing the game on a PC is that you enjoy clearer details and better control. Sometimes when playing Crisis Action, bluestacks ask you fee to pay but gives you option to download some apps. Every time it asks you just select “Install apps” and continue using it free. I hope you enjoyed this article, please rate and share. If you have problems running Crisis Action on desktop or any other issues, leave a comment below.